Tisno is located partly on Tisno peninsula and partly on the island of Murter. The passage (or strait after which the place was named) between the mainland and the island is only 38 meters wide. In 1832 a bridge was built and in 1991 the continental and insular part of town was connected by a movable bridge. The newer part of Tisno is built on the land and the place place is called Gomilica. Once the main activity in Tisno was trade, olive and grape growing. Today, the local population still engaged in agriculture, but the main economic activity of the area is tourism. 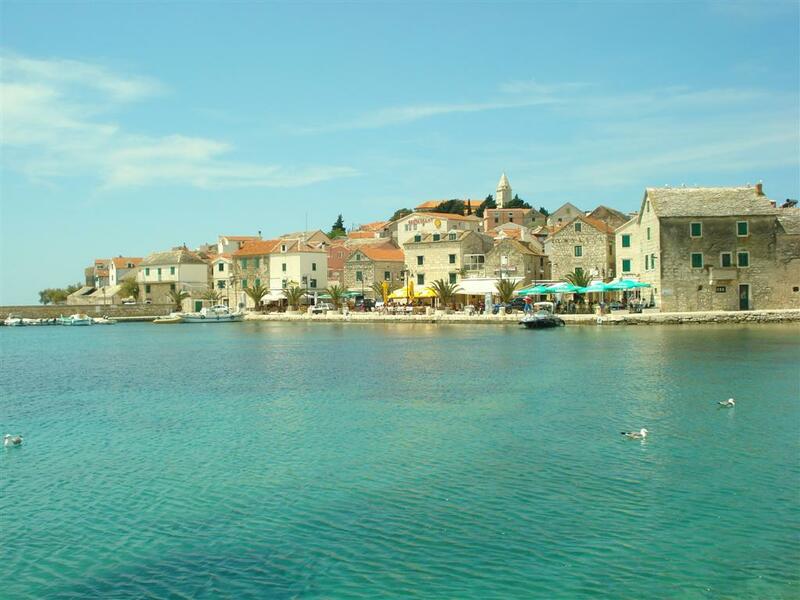 Tisno is situated between two big Croatian cities: Zadar and Sibenik. Sibenik is 38 km away while Zadar is 56 km away. 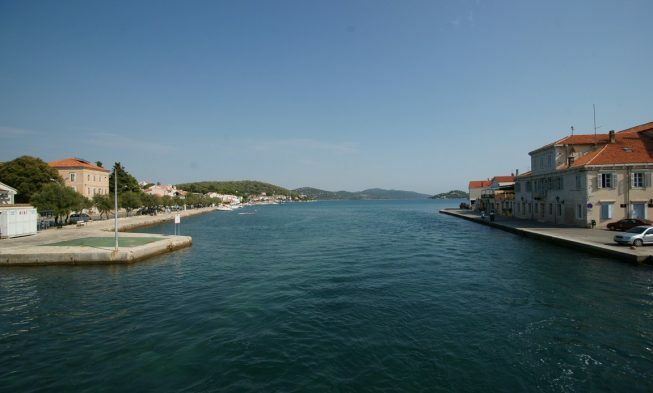 Today Tisno has about 1300 inhabitants, and in the season that number is much higher. 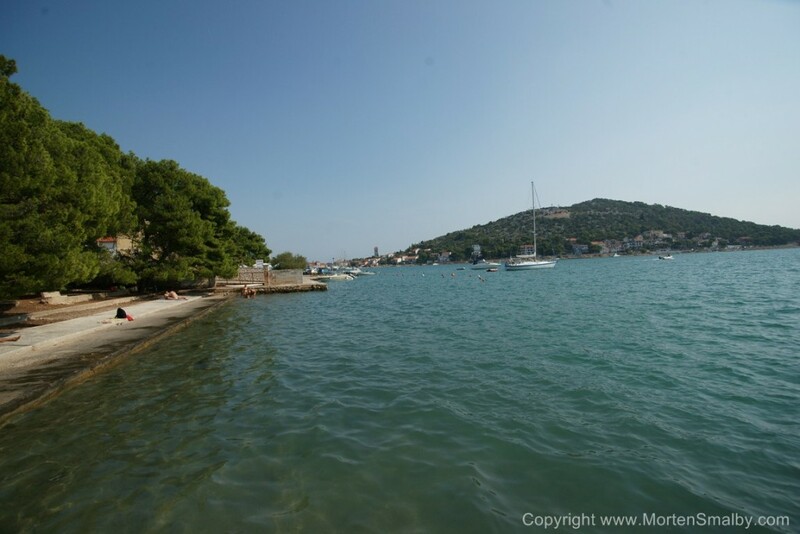 The most famous beach in Tisno is a pebble beach Jazine which is located in the eponymous camp. The beach can be reached by turning right after the bridge and continuing towards the camp Jazine. Jazine beach is sandy and the sea is shallow and warm which is ideal for families with small children. Given that the beach is within the camp, visitors have at their disposal a large selection of additional content such as beach volleyball, mini golf, table tennis and other sports activities. The bay Jazine has a restaurant where you can refresh yourself on hot summer days. The beach is equipped with showers, toilets, and there is a possibility to rent chairs and umbrellas. Near the beach a parking area is available at an extra charge. For those who prefer less crowded beaches recommend a rocky beach that is located behind the church of St Andrew. The beach is covered with forests and throughout the day provides natural shade. 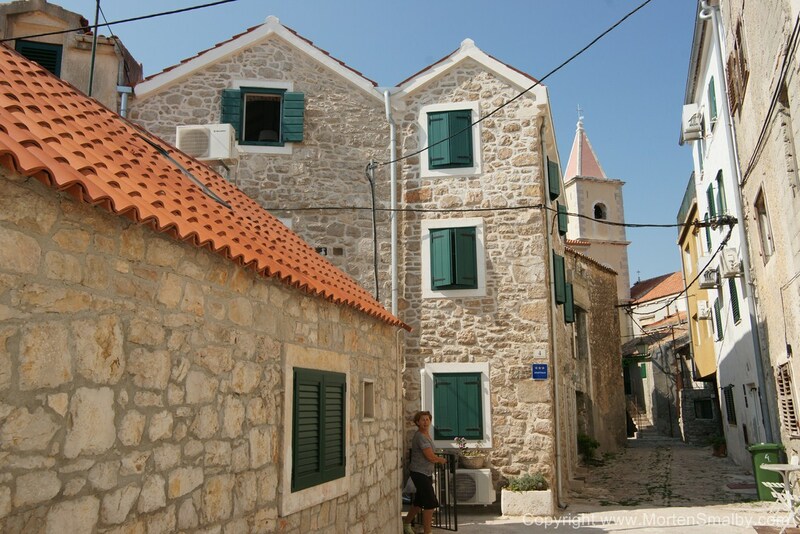 As a tourism oriented place Tisno has a wide range of accommodation; the majority is in private apartments. Among hotels, the largest hotel is Borovnik which is located next to the bridge and a small family hotel Tisno which is a renovated historic building from the 19th century. 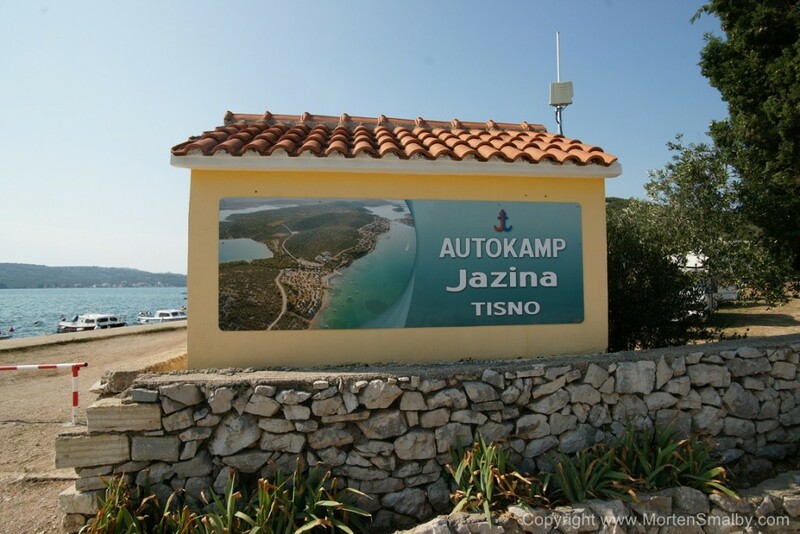 Tisno has three camps of which the largest camp is Jazina with a capacity of 1,200 people, then camp Lovisca with a capacity of 600 persons and Kosirina camp with a capacity of 400 persons. For guests looking for luxurious accommodation, in Tisno you can also find several luxury villas with swimming pool. In Tisno there are several taverns and restaurants offering traditional Dalmatian specialties prepared in a traditional way, just as they were prepared by our ancestors in the past. Among the most famous restaurants we can mention tavern Broscica which is decorated with a real Dalmatian touch. If you are looking for a good seafood restaurant then restaurant Feral is the right place. Our first recommendation is the Kornati National Park which is located near the island of Murter. 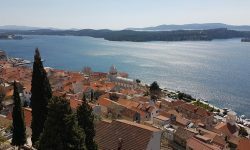 If you like historic sights then you should definitely visit Sibenik, the oldest Croatian town on the Adriatic coast. For lovers of natural beauties, near Tisno you will find Krka National Park, which leaves its visitors breathtaking. The famous international donkey race is also held in Tisno every summer which was organized for the first time in 1963. Every year it attracts more viewers and it has become a real tourist attraction. The donkey race is special because of the fact that it promotes donkeys and thus saves the authentic Dalmatian animal from extinction. There are a few small shops in Tisno where you can buy all the necessary ingredients and there is one Konzum store. If you need a bigger purchase, for several weeks, in that case we recommend you go to Vodice or Sibenik. As in any small village in Dalmatia, in Tisno you can have fun to the Dalmatian song, dance and a wide range of local specialties. On the beaches there are a few cafes where you can relax with a variety of drinks and cocktails. 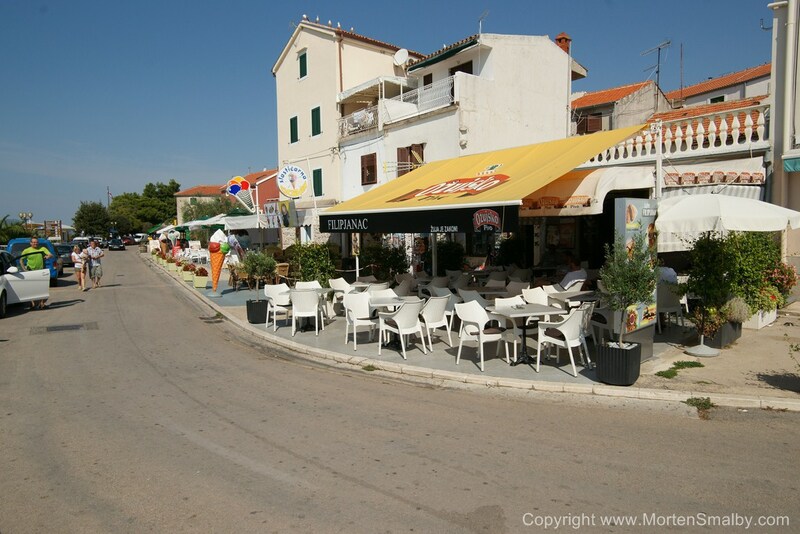 Larger discos and a livelier nightlife can be found in Vodice and Primosten. 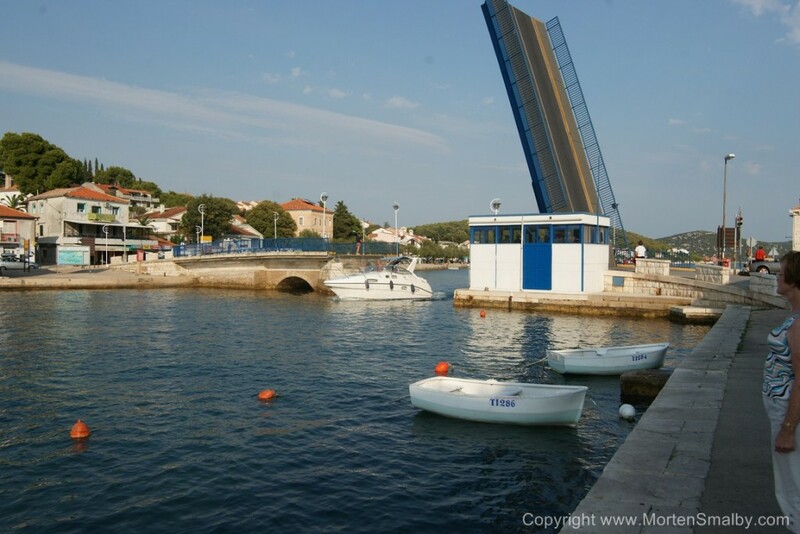 During summer month Tisno is home of some of the most popular festivals in Croatia, currently the following festivals are held in Tisno, Garden festival, Electric festival, Soundwave festival, Suncebeat and the stop making sense festival. During Festival period there is obviously lots of party stuff going on in the Tisno area. Getting to Tisno by bus, there are a handful of daily buses from Sibenik to Tisno.